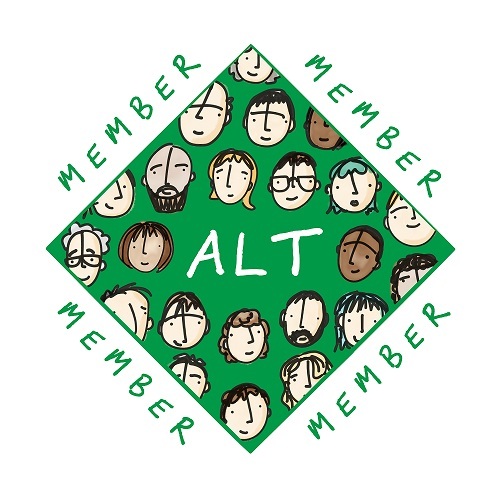 The ALT Conference back in September celebrated its 25th birthday and offered an abundance of content for Universities wanting to learn from other educational institutions and speakers. One topic area that was covered highlighted the challenges that Higher Education establishments face with digital learning tools and general challenges that Learning Technologists are likely to come up against in 2019. Please feel free to save this word cloud image for your own use or share this with colleagues or on social media. 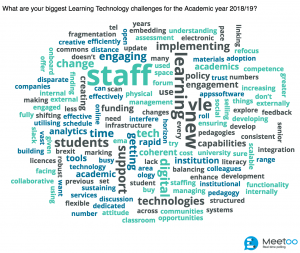 The word cloud displays the most popular responses by increasing the font size, so (as shown by the image) the words “staff”, “learning”, “new” and “VLE” were submitted the most times from participants. Implementing – For the sheer amount of work and considerations that need to be reflected upon when implementing Education Technology, it’s no wonder that Learning Technologists voted this as a main challenge. This EdTech e-book by the Strategy Institute (2016) looks at a few of these implementation challenges including orchestration, complexity, adaptability, getting buy-in and addressing concerns. Engaging – This word can have several meanings or uses. One meaning of the word ‘engaging’ within a learning technology environment, is that it’s a challenge to engage teaching staff. Your teaching staff might have a very busy schedule as it is, so making tools or support available and easily accessible to them is significant. As mentioned by Matthew Lynch (2018), it’s important that the internal communication channels that you use to keep staff up to date are suitable for communicating effectively with your staff. Another meaning of ‘engaging’ might be how to increase student engagement in lectures and outside of them. As the University of Washington states on their teaching resource page, student engagement is often achieved by the process of active learning and by making it a memorable experience: “active learning requires students to participate in class, as opposed to sitting and listening quietly” (n.d.). There are several digital tools that can help with engagement such as live voting apps, student Q&A apps and quiz tools, all of which can be used on a student’s own device. Virtual Learning Environment’s and other learning platforms that are easily accessible to students make it easy for them to learn at their own pace. Several research studies have shown the positive impact that these learning tools can have in increasing engagement (e.g. Weller, 2007; Koskela, et al., 2005; Meetoo, n.d.) but it’s choosing the right tool for your University and adapting to the needs of your staff and students that can add to the pressure. Change and development – Technology can advance quickly and keeping up with the pace of it is important, especially within an education setting when other things come into play such as educational legislation and institutional decisions. This is where digital learning teams are vital. They are there to explore the best digital tools that are right for their University and to encourage staff to adopt the chosen technology. Not all staff will be keen for change, so providing them with support, useful information (i.e., why they should adopt this technology) can help them realise the benefits of the technology and to create buy-in. 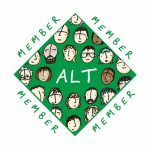 Getting the advocates of this technology to vocalise their support for it will help their peers to be naturally intrigued as to how it can benefit their teaching. Support – When offering technology tools and open-source learning platforms it is vital that you have the support in place for the users of those digital platforms. 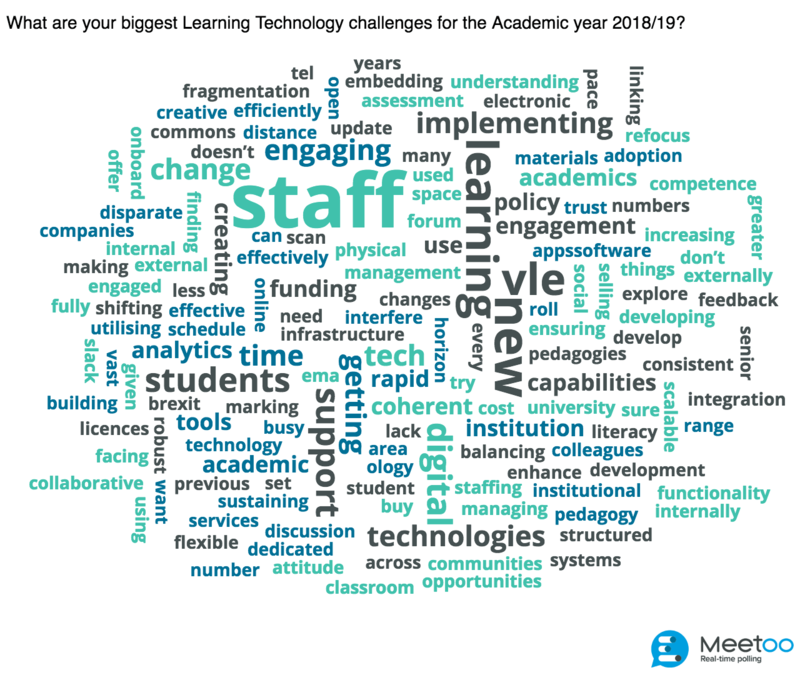 Like a few of the other challenges mentioned in this word cloud, support is an ongoing challenge for learning technology as Universities need to cater for all kinds of support levels and support for different digital tools. This might include supplying workshops for teaching staff or by making the right kind of support resources readily available. As the Lynch states “the more use of technology means more stress on the IT department” and it’s important to have the right support infrastructure in place (2018). Digital/Technologies – Utilising technology can be quite demanding in itself, especially in a large educational organisation where multiple digital tools are being used. Not all tech is complex – but it can be, and sometimes it can come with its own barriers along the way. It’s important that the technology that you offer teaching staff is aligned to your strategy and compliments your current IT infrastructure. You can find lots of helpful resources for digital strategy reviews on the Jisc website, such as their guide to Developing organisational approaches to digital capability (Killen, Beetham and Knight, 2017). Students – It is no surprise that this response appeared quite popular within the word cloud, as ultimately learning technology will impact the student experience. 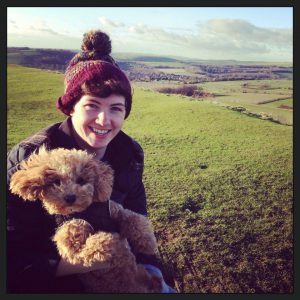 An International Data Corporation (IDC) research paper conducted last year indicated that “the student experience was one of the top priorities for institutions in 2018” and that “students expect to be taught and learn in ways that are better suited to their personal preferences and at a pace of their choosing” (Pennel, 2018). VLE – In at number four it’s VLE. VLE’s are becoming “central to the mass delivery of HE” (Normand and Littlejohn, 2006). They have many uses and are crucial to the student experience due to the rise of e-learning. These sites have been useful for managing learning resources and enabling self-paced study outside of the lecture hall. David Biggins from Bournemouth University explores some of the challenges of VLEs such as considerations around unit design and learning analytics, as well as the coordination and implementation of VLEs (2018). New – One of the challenges of working in learning technology is keeping up with the speed of new technology, features and developments. As we all know, the world of technology can change quite rapidly and ensuring your staff and students are up to date with the new technology that is appropriate for your University can be daunting sometimes. Learning – It’s in the question so there is no doubt it has to be up here at the top! Everything revolves around this for HE institutions. Making learning successful for students and giving staff the best tools to facilitate learning and opportunities for their students is vital. Staff – This was the most popular response and for good reasons indeed. Most of the main challenges will involve staff in some way; this might involve managing technical support for teaching staff, collaborating with different teams or departments or even trying to increase staff adoption of a certain digital learning tool. Learning technology is there to support staff and to help enhance learning. Staff will always be essential for facilitating learning, making decisions and being key stakeholders in any digital learning process. If you would like some tips on student engagement, please visit our blog site. Biggins, D. (2018) The challenges of learning analytics and possible solutions, CEL Blog. Available at: https://microsites.bournemouth.ac.uk/cel/2018/05/14/the-challenges-of-learning-analytics-and-possible-solutions/ (Accessed: 5 November 2018). ‘Challenges in Implementing Edtech’ (2016) in The Future & Challenges of Education Technology. Toronto: Strategy Institute (6th Annual Summit on Education Technology Strategies). Available at: https://www.educationtechnologysummit.com/wp-content/uploads/2016/02/EdTech_ebook3.pdf (Accessed: 5 November 2018). Killen, C., Beetham, H. and Knight, S. (2017) Developing organisational approaches to digital capability, Jisc. Available at: https://www.jisc.ac.uk/guides/developing-organisational-approaches-to-digital-capability (Accessed: 5 November 2018). Koskela, M. et al. (2005) ‘Suitability of a Virtual Learning Environment for Higher Education.’, Electronic Journal of e-Learning, 3(1), pp. 23–32. Lynch, M. (2018) ‘How to Overcome 10 Digital Learning Challenges’, The Tech Edvocate, 12 May. Available at: https://www.thetechedvocate.org/how-to-overcome-10-digital-learning-challenges/ (Accessed: 5 November 2018). Meetoo (no date) ‘The Benefits of Student Response Systems’. Normand, C. and Littlejohn, A. (2006) Flexible delivery: A model for analysis and implementation of flexible programme delivery. Gloucester: Quality Assurance Agency. Pennel, C. (2018) Digital Transformation in UK Higher Education: How a Modern VLE Can Drive Change. London: IDC UK. Available at: https://www.canvasvle.co.uk/viewer/pdf/Digital-Transformation-in-UK-HE-White-Paper-IDC-Web.pdf (Accessed: 5 November 2018). Teaching resources | Center for Teaching and Learning (no date). Available at: https://www.washington.edu/teaching/teaching-resources/ (Accessed: 5 November 2018). Weller, M. (2007) Virtual Learning Environments: Using, Choosing and Developing your VLE. Oxford, UK: Routledge. Available at: http://www.routledge.com/shopping_cart/products/product_detail.asp?sku=&isbn=9780415414319&pc= (Accessed: 8 November 2018). Just a small correction… would you mind removing the errant apostrophe from the title? Thanks!